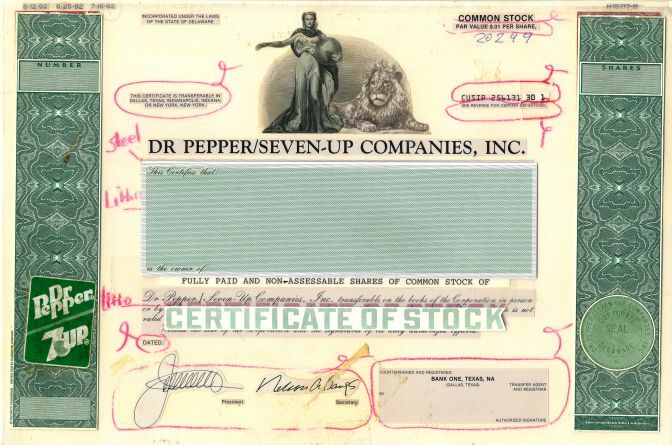 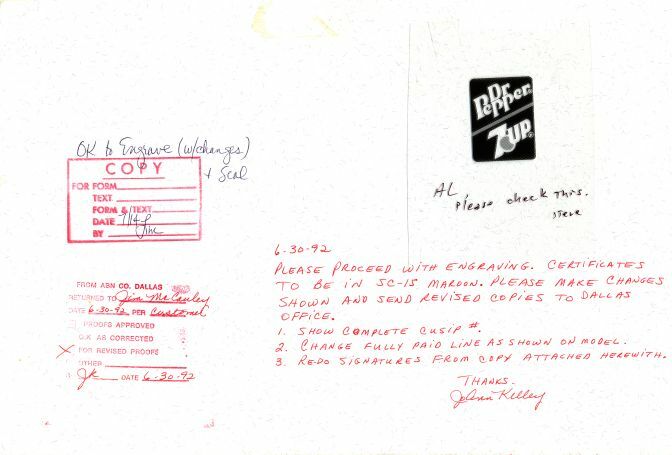 Beautiful production proof certificate from Dr. Pepper/Seven-Up Companies, Inc. printed in 1992. 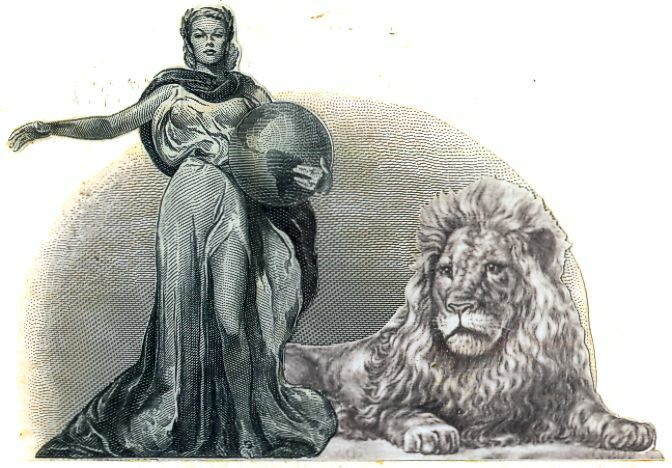 This historic document was printed by the American Banknote Company and has an ornate border around it with a vignette of an allegorical woman with a lion. 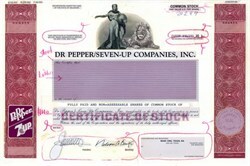 This item has the printed signatures of the Company’s President, and Secretary, and is over 19 years old.